The normal tea which is extracted with jasmine flowers along with unique taste and scent is jasmine tea. During the Song Dynasty, the jasmine tea was first appeared. Nowadays, jasmine tea is quite popular. The loose-leaf teas are available in the teabags. In jasmine pearl, it consists of one tea leaf and two tea buds. The extracts of jasmine could be added to the drink which provides the health effects. The antioxidants present in the jasmine tea such as catechins and epicatechins provides the various benefits to the system. Jasmine tea was originated in China during the Song Dynasty which was ended in the 13th century. It was reserved for the loyalty but nowadays it is exported commonly to the West. The jasmine tea was produced nearly 700 years in China. The loose tea leaves of high quality are made with jasmine petals with sweet flavor and aromatic fragrance. The powerful antioxidant of jasmine which is known as catechin is good for health. It helps to reduce heart rate, stroke, cancer, blood pressure and cholesterol levels. Jasmine tea is rich in antioxidants known as catechins. The antioxidant helps to eliminate free radical which causes diseases. It also enhances the immune system. The catechin helps to prevent the serious diseases in the body. The cardiovascular patients can be helped by the jasmine tea. The catechin helps to lower LDL oxidation which is not good for the arteries. 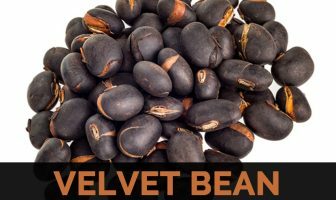 It helps to reduce the cholesterol levels and blood pressure levels which help to prevent the heart diseases and heart attacks. The daily intake of jasmine tea helps to reduce the chances of stroke. It also prevents the oxidative stress. Jasmine tea is rich in antioxidants helps to slow down the aging process. Free radical may develop the risk of cancer in the body so it helps to eliminate the free radicals which help to slow down the process of aging. The research conducted reports that the jasmine tea consumption helps to prevent the cancer. The presence of polyphenols such as epigallocatechin gallate (EGCG) helps to prevent the free radicals. The high consumption of Jasmine tea helps to reduce the chances of lung cancer and breast cancer. The study which was made in Japan showed that the high consumption of jasmine tea helps to reduce the recurrence of cancer in women with breast cancer after the surgical procedure. Jasmine tea helps to improve the circulation of blood which helps to eliminate the health conditions such as arterial blocks, thrombosis, strokes, blood clots, brain damage and high blood pressure. The negative effects of diabetes can be reversed by the consumption of jasmine tea. Diabetes is caused by metabolizing glucose so the jasmine tea has regulating agents which helps to prevent the diabetes. The jasmine tea helps to relieve the stress and provides relaxation. The smell of jasmine has a parasympathetic response to the odor which helps the body to release chemicals and allows relaxing naturally. The consumption of one cup of jasmine tea helps to provide relaxation immediately. It helps to relieve pain, headaches and muscle aches. The jasmine tea if inhaled for five minutes helps to calm the mood and also slower the heart rate. The healthy stomach can be promoted by adding jasmine tea to the normal diet. It also assists to prevent gastrointestinal forms of cancer. The intracellular antioxidants is activated which helps to enhance healthy bowel function. With the antioxidant and anti-inflammatory properties, the jasmine tea helps to prevent the immune systems. The immune system provides defense to all kinds of illnesses. Jasmine tea helps to reduce the arthritis and joint pain. The inflammation of joints and swelling can be reduced with its anti-inflammatory properties by preventing unwanted cellular oxygenation. The adequate intake of jasmine tea helps to eliminate these problems. The jasmine tea helps to raise the metabolism which helps the body to absorb nutrients fast. The faster metabolism helps in weight loss. The study which was made in the Netherlands found that those who drank the green tea lose more weight. The Japanese study reports that the consumption of high amounts of green tea extract helps to lessen the blood pressure and also reduces the weight. Jasmine tea helps to eliminate the infections of bacteria. The study reports that the jasmine oil helps to eradicate the E.coli effects which are found in unsanitary cooking conditions. 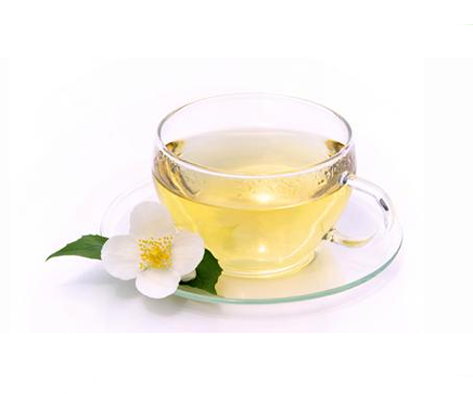 Jasmine tea helps to get rid of cold, cough and throat infections. Jasmine tea raises the good cholesterol by reducing the bad cholesterols. The antioxidant found in the green tea provides fewer chances to clog. The Dutch study found that the consumption of tea helps to lower the severity of atherosclerosis in women. The Jasmine tea extracts helps to treat acne, skin eruptions, scars and wounds. It hydrates and moisturizes the skin by making it elastic. The property such as antibacterial and antiviral in jasmine green tea helps to prohibit flu and colds. The intake of the jasmine tea helps to speed up the healing process. Gargling with jasmine tea is believed to prohibit illness. The study which was published in “Nutrition” summarizes that those who consumed jasmine tea reduce the risk of SCC by 0.5 in comparison to those who did not drink. The odor of the jasmine tea helps to calm the mood and reduce the heart rate. Stress induced high blood pressure is eliminated with its calming effect. The jasmine tea’s aroma has sedative effects. Jasmine tea leaves – 1 tsp. Place water in a saucepan on high flame. Add jasmine tea leaves and allow it to come to a boil. Lower the flame-low to medium and steep the mixture for 2 to 3 minutes, depending on how strong you need your tea. Allow the mixture to sit for 1 minute. Strain the mixture into a cup and discard the leaves. Allow the tea to turn warm. Mix the sweetener, if you wish to, and sip your way. The pregnant women are not recommended the jasmine tea because it may cause the premature contractions. The doctor must be consulted before using aromatherapy or foods to the diet. The jasmine tea helps to enhance metabolism or stimulate the weight loss. But it is highly acidic so the consumption of jasmine tea on an empty stomach causes the discomfort or intestinal pain. Caffeine blocks the neurotransmitters in the brain which causes the alertness feelings. The doctor must be consulted for using the caffeinated products with jasmine tea to the diet. Loose leaf varieties contain caffeine but the teabag varieties are available without caffeine. Steep the tea and mint leaves in simmering water for about three minutes. Strain the tea and pour into a large pitcher. Stir in lemon juice and honey until they have dissolved, and add the cold water. Refrigerate for about two hours until the green jasmine iced tea is chilled.